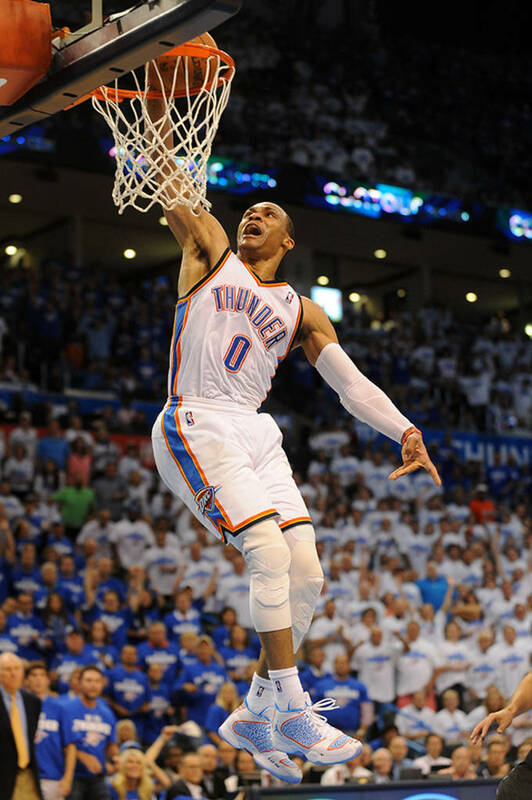 When the Oklahoma City Thunder stars get going, they&apos;re very hard to stop. 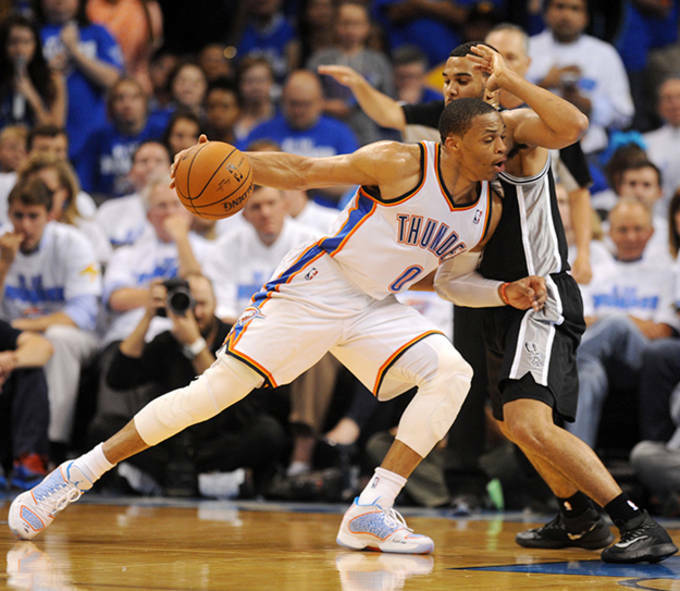 Russell Westbrook could not miss and played under control at the same time as Oklahoma City routed the Spurs 105-92. 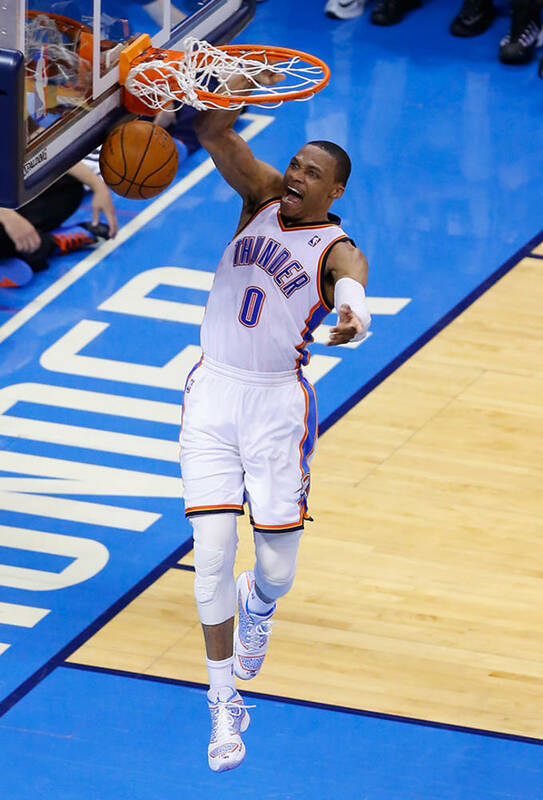 Westbrook finished 40 points, 5 rebounds, 10 assists and 5 steals in the game. That put him in rare company as he was the first player with 40 points, 10 assists and 5 steals in a playoff game since Michael Jordan in 1989. Even more important, OKC tied the series 2-2 and have placed themselves back in the thick of things when it comes to winning the Western Conference Finals. 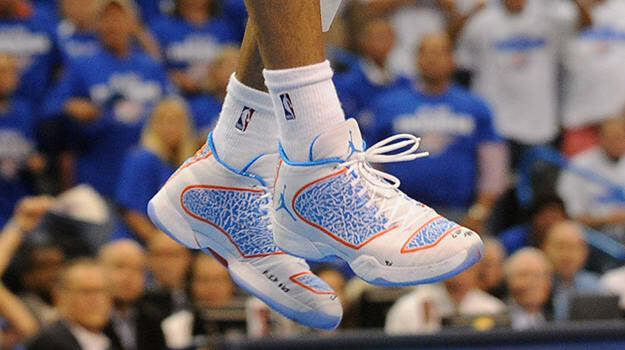 Once again, Westbrook wore an elephant print PE of the Jordan XX9 during Oklahoma City&apos;s victory. After this performance, he might never switch back to the XX8 SE again.